When it comes to engagement, video is a vividly colored unicorn. It captures the eye, draws the user in, and holds their attention for a longer duration. Video certainly isn’t new on social media, but there have been recent changes that directly impact publishers and video marketing specialists. In case these didn’t fall onto your radar, here are 5 social media video news announcements that are worthy of your attention. Facebook is giving creators and publishers more tools in their video-oriented arsenal by expanding its offerings. Originally, Watch was only going to feature original programming and content. However, Facebook decided to include videos from Pages as well, and a larger number of creators will be eligible. To help find the ideal creators, the Facebook for Creators Launchpad program will assist in identifying candidates. Additionally, new revenue opportunities will also be available. This can be a boon for organizations that were harmed by monetization changes on channels like YouTube, giving creators and publishers additional options for their content. You must apply to join the program, which will focus on longer, engaging, and authentic content. When it comes to video, YouTube is the unicorn in the space. But Instagram wants to change that though it’s new standalone app, IGTV. IGTV will welcome long-form video, including hour-long uploads. Plus, the content will be displayed as full-length vertical videos, keeping people from having to shift their phone between the portrait to landscape orientations to use the app. Instagram has 1 billion users and has seen a 60 percent increase in the amount of video being consumed on the platform. 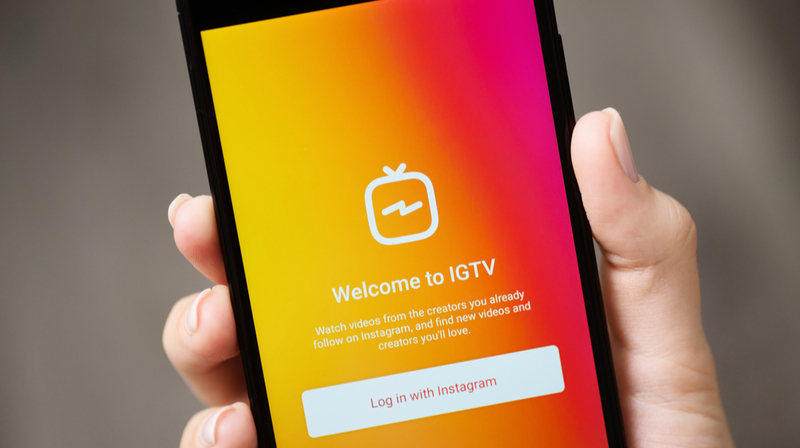 IGTV is attempting to capitalize on the interest in video. Advertising isn’t on the platform yet, but that will likely change quickly once the platform gains a following. Over recent years, parents have been increasingly vocal when it comes to concerns over the YouTube’s algorithms. Multiple incidents involving content being directed to children that is not kid-friendly, disturbing, negative, or destructive created varying levels of uproar. YouTube has been working to improve its algorithms, but growing pains have led to some missteps. Additionally, the sheer volume of content created additional challenges, requiring the company to hire more staff members to moderate activities on the platform. A feature that is already available through News Feeds and on Instagram, which is owned by Facebook, autoplay ads will soon be arriving on Facebook Messenger. The ads will display in a sponsored portion of the main feed in the Messenger app, and all advertisers are eligible for the program. While this could present companies with an opportunity to engage with a wider audience, users have mixed feelings about autoplay ads in general. At this point, only a small number of users are being exposed to the ads, and Facebook is gauging their reaction before rolling it out to additional users. VidCon, a convention that attracts online video content creators and video platforms, saw its highest attendance records when the event kicked off on June 20, 2018. While YouTube usually dominated the conference, every major player came in this year to tout their capabilities. Facebook, Twitch, Twitter, and Snapchat all made their presence known, particularly since many creators have grown frustrated with YouTube over demonetization, the high amount of competition, and other changes made by the company. Ultimately, the world of social media video is changing rapidly, and will likely continue to do so for the foreseeable future thanks to the popularity of video on the platforms. New opportunities for companies will continue to emerge, and those who are vigilant can take advantage of them early, creating a strong mechanism for staying ahead of the competition while engaging with a wider user base.